For the non-fisher an array of activities abound, either on the property or within a 20 minute drive. 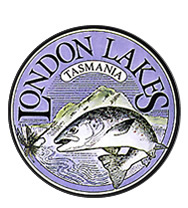 Relaxing walks or adventurous hiking, golf, tennis, day spas, quality café, a unique Tasmanian sculpture gallery, boat trips on Australia’s deepest lake in the heart of the Lake St Clair National Park, sight seeing and day trips to nearby destinations complete the highland experience. 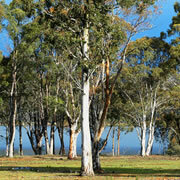 London Lakes Lodge, built out of field stone and Tasmanian timbers, is situated on the shores of Lake Samuel. The Lodge was designed around a huge central stone fireplace to create a warm atmosphere where tales during and after dinner can be shared with enthusiastic guests. Sitting in front of the open fire with a glass of Tasmanian Pinot Noir, after a great day's fishing or exploring cannot be beaten before retiring to king sized beds and one of the greatest sleeps of your life, all to be awoken for the early morning tailing fishing up on Big Jim's and the whole days experience repeated. - Provedore option: guests cater for themselves from the fully stocked fridge and pantry (let us know if there are any special requirements, likes or dislikes). Specified products will be supplied at cost + stocking fee. - Semi provedore: guests can choose to have the farm house stocked with certain items while other meals are served at the lodge or even delivered to the farm house. BBQs by the lakeside are a feature for lunch or dinner. 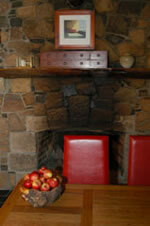 - Full catering at the Lodge for breakfast, lunch and dinner.